Good Nerd Bad Nerd Episode 37 – Bat who now? This week on Good Nerd Bad Nerd we give you a taste of things to come. We are talking about Batman’s origin, and we don’t mean his parents being gunned down in crime alley. We are talking about Bob Kane and Bill Finger. All of that plus the News from around the Nerd! Neil Gaiman’s American Gods coming to TV near you! Fantastic Four Reboot with a Female Doctor Doom? All the FF rumors are false, maybe. 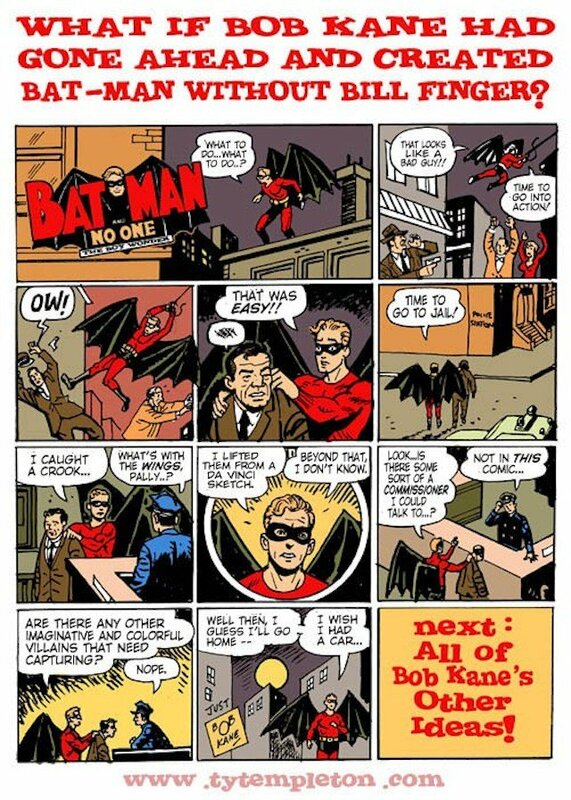 This week on A Little Nerd on the Side we will be talking with Dr. Travis Langely about everything you need to know about Bob Kane, Bill Finger, and the Dark Knight. It is a interview that will change the way you see the Batman we love today. Before we get there though, make sure you check out the Bill Finger kickstarter and be sure to support it! February 10, 2014 in Disney, Fantastic Four, Gary Oldman, Good Nerd Bad Nerd, Ms Marvel, Neil Gaiman, Paul Bettany, Philip Seymour Hoffman, Star Wars, Vision.